Read the article on HubSpot to learn more! One of the questions of a modern online marketer is” What days and times are the best to post on social media? When is the highest engagement? This great article on Hob Spot answers all these questions with actual data! 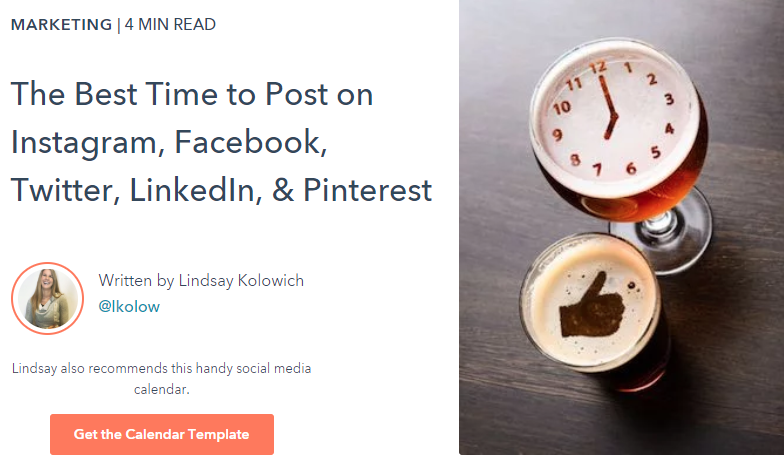 Not only that for a little information for their data base you can actually down load a calendar template to schedule your social media posts for times and days that have the highest engagement… very cool! No more guess work! Get your social media on track by basing your posts on read data and get ahead of the competition! Learn more about when is ..
← Network Marketing is Not a Spectator Sport!